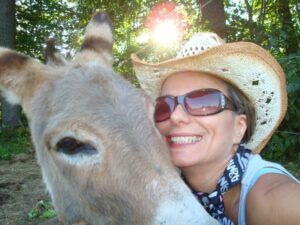 BETHEL — When Patti Truman adopted Polo and Elmo, a horse and his mini donkey friend, she planned to keep them for the rest of their lives. It was not an unreasonable expectation. She had owned ponies and horses for decades, ever since she was a child, and she knew the dedication it took to be a good caretaker. “I would never give one up,” Truman said. But then, last year, she had to. After 14 years with Polo and 13 years with Elmo, Truman’s life changed, and she suddenly had to find her beloved animals a new home. Her first try, done on her own, did not work. The animals’ new owner was about to send them to auction. Then Truman heard about Maine Horse Matchmaker. 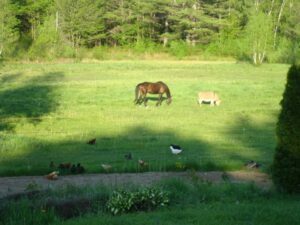 Run by the Maine State Society for the Protection of Animals in Windham, the 3-year-old online service helps horses who need homes connect with homes that want horses. Within days, Truman had a list of people eager to adopt. The society helps abused and neglected horses, but it does not accept horses just because their owner needs to re-home them. No animal shelter in Maine does, according to the society. Traditionally, that has left owners with few options: Advertise their animal online or in print, try to find a home through friends and friends of friends or take their horse to auction, where it ultimately could end up in a bad situation or sold for meat. Over the years, the society has regularly gotten calls from horse owners desperate to place their animals somewhere safe. Some of the owners were sick or dying, some had a financial catastrophe, others experienced a sudden change — a death in the family, a divorce, an injury — that prevented them from caring for their horses. Maine Horse Matchmaker was a way the society could help without taking on those horses itself. The society created a webpage where owners could submit information about their horse, then a Facebook page where those horses were listed. Owners provide photos and detailed information, both positive and negative. “Has minor arthritis, a bit chubby — she’s a very easy keeper!” one owner wrote recently for Matchmaker. Listings are free to owners, and horses are free to their new homes. While the society created and runs Matchmaker, it does not assess the horses or the people offering to adopt them. That is up to owners or potential owners to work out. Last year, Maine Horse Matchmaker listed 23 horses. Fourteen found new homes. Truman still has trouble talking about her decision to re-home middle-aged Polo and Elmo. She had had a half-dozen horses and a couple of ponies over the years, and she took care of them until they died. “They had a forever home with me,” she said. 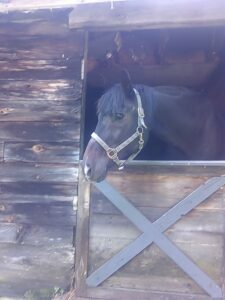 She planned the same for Polo, who once stood steadfast beside her when a mother bear charged at her, and for Elmo, who was so skittish when he arrived Truman sat in his stall and read “Harry Potter” to him until he began to trust her. But then, about 18 months ago, her life changed. Truman suddenly had extra responsibilities — school in addition to work, travel in addition to her life with Polo and Elmo. Her time with her beloved animals dwindled until she was taking care of the basics for them, but only the basics. She found the animals a new home with someone she knew, but it did not work out. The new owner suffered a back injury and her husband told Truman she either had to take back Polo and Elmo or he would send them to auction within days. 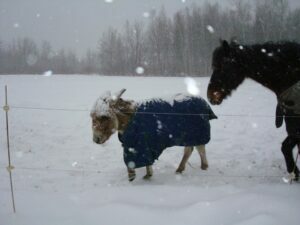 Truman had already taken down some of her pasture fencing and, in the middle of the cold season, she had no hay. She could not take them back. Truman began frantically calling everyone she thought might be able to help, including the society. Someone there suggested Maine Horse Matchmaker. Truman was not sure she could list a mini donkey on a site for horse matchmaking, and she thought she might have another option for Elmo if he and Polo absolutely could not go together. On Nov. 14, Polo was listed alone on the site. His lengthy post detailed his riding experience, stable manners and the story of his dedication to Truman in the face of a bear attack. Polo’s post received 564 responses and was shared 147 times. Within days, Truman had a list of possible new families for him. She chose a New Hampshire woman who was happy to take both Polo and Elmo so they could stay together. They have fields to roam, a walk-in shelter and a barn — above which their new owner lives. She receives updates and photos. She can tell Polo and Elmo are happy. She credits the society and Maine Horse Matchmaker for making that all happen. The society would like to do more. It is looking to trademark the Maine Horse Matchmaker name and logo. It would like to get grant funding so it can better track Matchmaker data, follow up with horses after they have been adopted and, potentially, increase the site’s promotion so more people know it is available when they need it. “This is an important dimension of being a full-service shelter,” Bickford said. Animal Tales is a recurring Sun Journal feature about animals and their people. Have an idea for Animal Tales? Call Lindsay Tice at 689-2854 or email her at [email protected].